Kajol is celebrating her 44th birthday today. Kajol would next be seen in 'Helicopter Eela' directed by 'Parineeta' fame director, Pradeep Sarkar. She would be seeing essaying the role of a single mother and an aspiring singer in the movie. 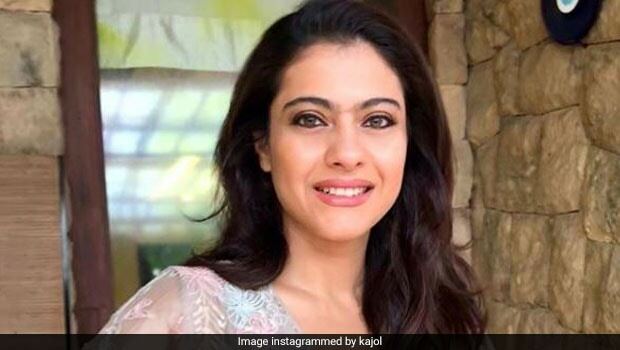 Helicopter Eela would mark Kajol's comeback on screen after almost a year. She was last seen with Dhanush in the Tamil flick VIP 2. Her last Hindi film outing was in the year 2015 with 'Dilwale' where she was seen with Shah Rukh Khan. Kajol's fans are quite kicked about her latest venture, which is all set to release somewhere in September this year. After making her debut in the year 1992 with 'Bekhudi', Kajol has starred in many blockbuster films like 'Dilwale Dulhaniya Le Jayenge', 'Kuch Kuch Hota Hai', 'Kabhi Khushi Kabhi Gham', 'Pyaar Kiya to Darna Kya' and 'My Name is Khan'. Kajol holds the record for the most 'Best Actress' wins at Filmfare Awards. She was also awarded the Padma Shri, country's fourth-highest civilian award in the year 2011 for her outstanding contribution to Indian cinema. Besides her acting, Kajol has always made news for her honest and bold avatar. She is never the one to mince her words. We may know her as the one of the most glamorous style icons of today, but Kajol admittedly didn't pay any heed to her looks or style quotient, which made her the ultimate relatable girl next door in the 90's. Kajol is inarguably one of the fittest actors we know today. She hits the gym as often as she can. She also practices yoga and follows a healthy balanced diet given to her by her nutritionist. But, did you know there is an adorable foodie side to your favourite actor too, which she does not mind to indulge occasionally. Here are the 6 times she won our heart with her foodie avatar. 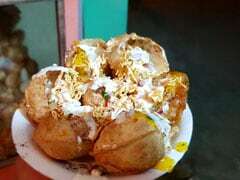 And that's her enjoying delicious vada pav with her team. Remember that time when Kajol gave us a cute throwback from last year's Durga Puja. That's her 'Eat Pray Love' with mother Tanuja during bhog time at a Mumbai pandal. Look how lovingly she is feeding Kajol from her own hands; aren't these two so aww-dorable? What are weekends for if it is not about friends, fun and good food, right? That's a Kajol's delicious Sunday meal outing with her friends. No! We cannot look away from the mango cake, cookies and all the sugary goodness that is here in the frame either! Kajol is an ardent sea food lover. This appetising dish is a proof! Here's wishing Kajol a very Happy Birthday! May you get to indulge in all your favourite treats for the day.